Should You Quit Your Job to Start Your Business? 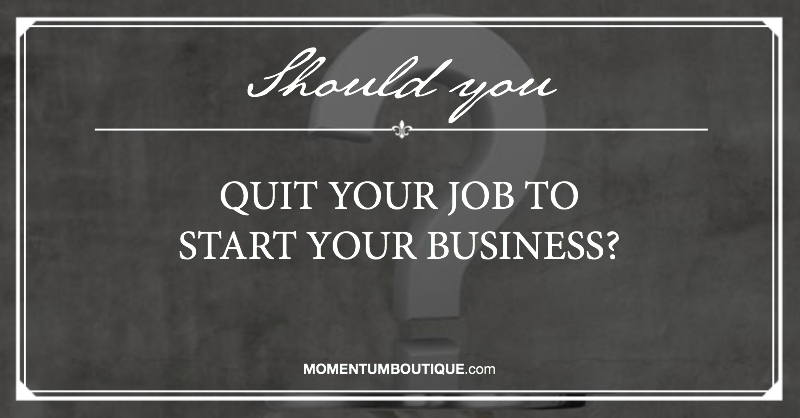 Have you ever felt compelled to ask a successful entrepreneur if you should quit your job to start your business? Several years ago, I went to a start-up event where an attendee asked the guest speaker if he should quit his job to be full-time in his business. 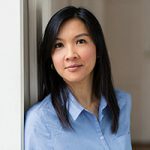 The successful entrepreneur did not urge people to quit their jobs, but gave a few reasons why it could be good to do it in order to ship their services or products faster. Another reason for leaving a job was that being in a survival mode would also help people focus on getting things done. However, I hear more stories about entrepreneurs who waited several months to a year before moving away from their corporate job. [Read more…] about Should You Quit Your Job to Start Your Business? 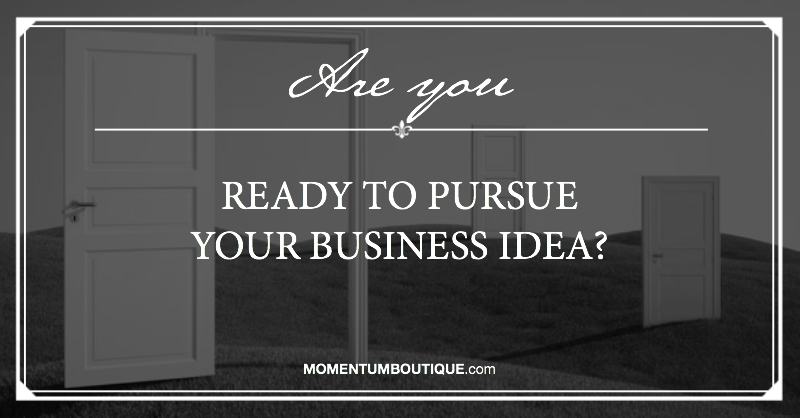 Are You Ready to Pursue Your Business Idea? Have you ever felt a calling that you were meant to do something bigger than yourself? Your life is not that bad but deep down, in your soul, something is missing. You have this internal energy that yearns to push you out of your boundaries and change your daily routine. It scares you but you also feel excited to do something meaningful in your life. Because you spend a lot of time at work, you wish you could combine your passion with your professional life. Which door will you open? [Read more…] about Are You Ready to Pursue Your Business Idea?